The Museum of Art + Design at Miami Dade College (MOAD) seeks to “provide open, critical, and collaborative frameworks for artistic experimentation and interdisciplinary risk-taking that explores the intersections of art, design, and other art forms with cultural action.” It is conveniently located near the Miami cruise port in a building that is both historically and architecturally significant. MOAD is housed in Miami's Freedom Tower. A designated U.S. National Landmark, the Freedom Tower was designed by George A. Fuller of Schultze & Weaver, based upon the bell tower of the Cathedral of Seville in Spain. It is rich in architectural detail both inside and out. For many years, it was the tallest building in the Miami skyline. Its traditional Mediterranean Revival design sets it apart from the more modern high-rises that have been built in the area. In 1974, the processing center was closed and the building changed hands several times. There were efforts at renovation and long periods of neglect. 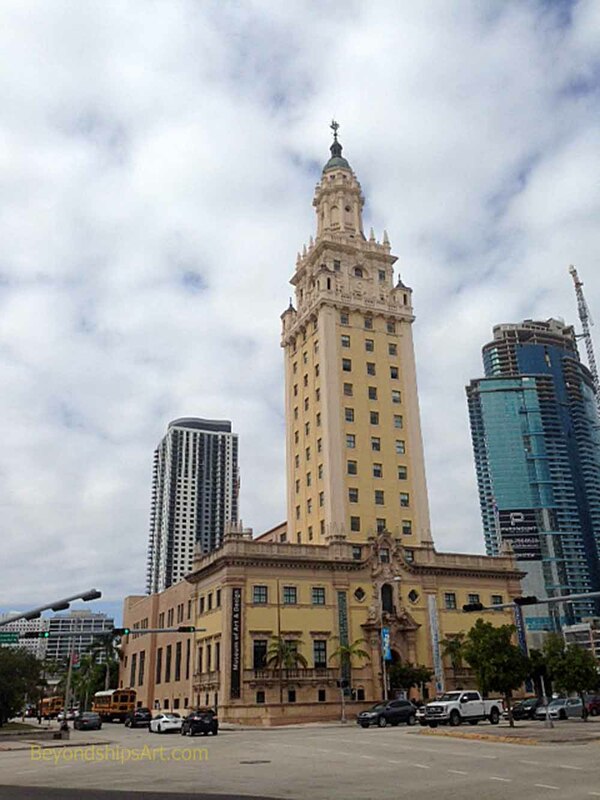 The Freedom Tower was donated to Miami Dade College in 2007. MDC restored the building and uses it for a number of purposes including MOAD. MOAD is on the second floor of the building. It presents a changing line-up of temporary exhibitions. These have included an exhibition of the complete etchings of Francisco de Goyay Lucientes and an exhibition of illustrations by Salvador Dali of Dante's The Divine Comedy. Exhibitions also include contemporary works such as the multi-media “We are all in the same boat” by the Danish collective Superflex. Also within the Freedom Tower is the Kislak Center, which presents exhibitions on early American peoples including manuscripts, books, maps and artifacts drawn from the collection of Jay I. Kisak. 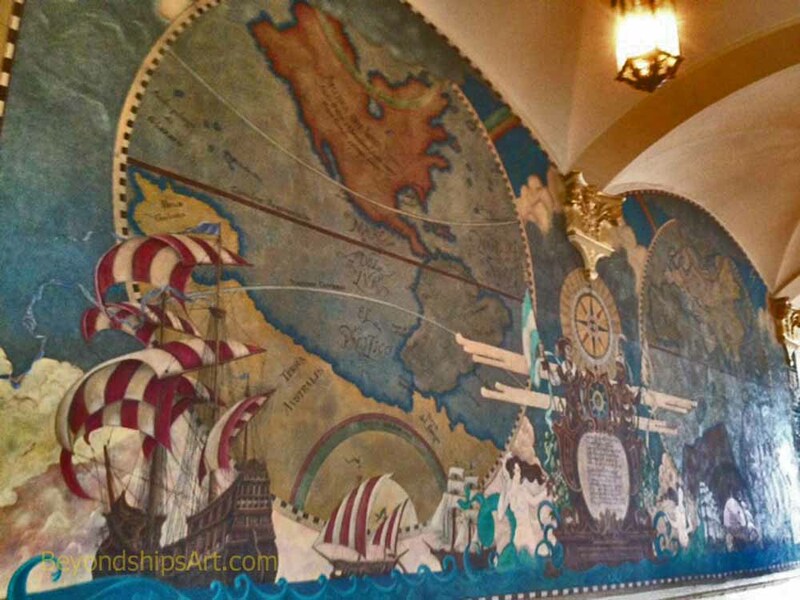 On the first floor of the building is a 40 foot mural “The New World.” This is a recreation of a tapestry done in the 1920s for the building. Over time the tapestry decayed and so in 1987, a group called the Miami Artisans re-created the tapestry with paint. Its images include depictions of antique maps, sailing ships, explorer Ponce de Leon and a Tequesta chief. 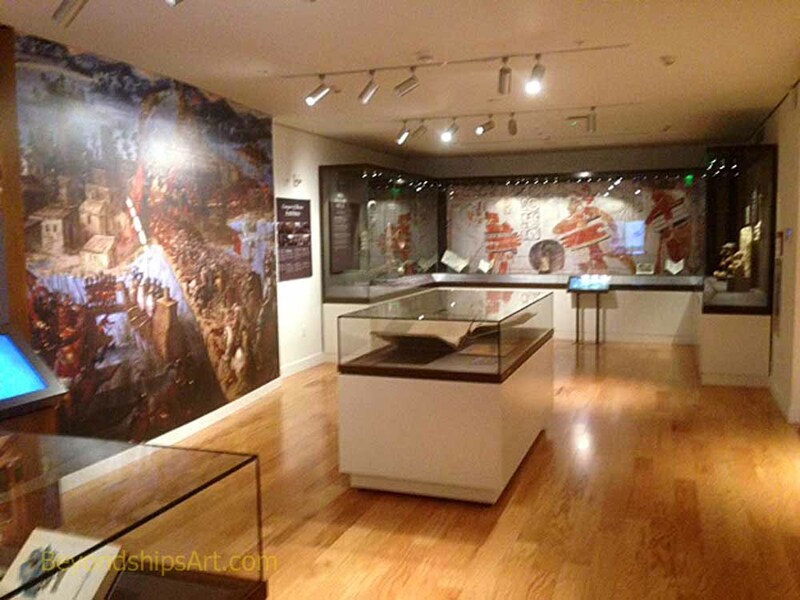 Naturally, considering the building's history, there is also the Cuban Legacy Gallery, which has exhibitions devoted to the Cuban exile experience and the impact of Cuban culture on South Florida. ​Above: The New World Mural. Above: The ornate lobby of the Freedom Tower. ​Below: An exhibition in the Kislak Center.